Hearty meals, overconsumption of alcohol and entertainment during the weekend get in the way of a good night's sleep, which is why we're so grumpy on Mondays, researchers tell the Daily Mail. Research among volunteers has shown that on Tuesday night our sleep is the most restorative, even though it's not the longest lasting. Experiments continued for 3 consecutive days and the participants had their stress levels examined the entire time. According to the data, women sleep longer than men. The fairer half of humanity needs 8 hours and 34 min. of sleep per day in order to feel well rested, while men need 11 min. less. The study also shows that we sleep longer during the weekend. People sleep about an hour more when they don't have to get up for work. But this type of sleep is the least healthiest and has the lowest restorative effect. During our days off we're more susceptible to eating more and abusing alcohol, which raises the levels of cortisol, the hormone of stress, in the body. As a result, we sleep worse in comparison to during the work week. 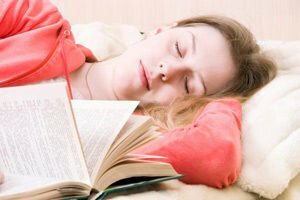 Besides the night of Tuesday going on Wednesday, the study has shown that the sleep we get between Thursday and Friday is also refreshing. Experts are adamant that we mustn't only pay attention to the amount of hours we sleep but to its quality as well. The clearest sign that you've had a good night's sleep is the way you wake up - you have to feel fresh and alert, not irritable and needing more rest.